Keeping our children from harm is what we parents are always looking forward. Therefore we find ways and constantly researching in order to be updated about the things around us that would help us be knowledgeable enough to do what to give and not to give as well as how to keep our children be away from danger. As a parent there are things that I do know and something that I need to learn as well. Just like the Attitude products for little one's concern, they have a new line of products for babies and children Free of Cancer-causing contaminants. Reading and learning among the words indicated I didn't realized that there might be products that I thought were okay yet they've cause cancerous ingredients. The ATTITUDE Little Ones was created specifically for help mom achieve their most important goal: protecting and caring for their children. Free of all cancer-causing contaminants, the collection features some 20 products - everything from wipes to shampoo, laundry detergent and even a toy cleaner - providing families with an effective, healthy, eco-friendly option for all their household and baby care needs. 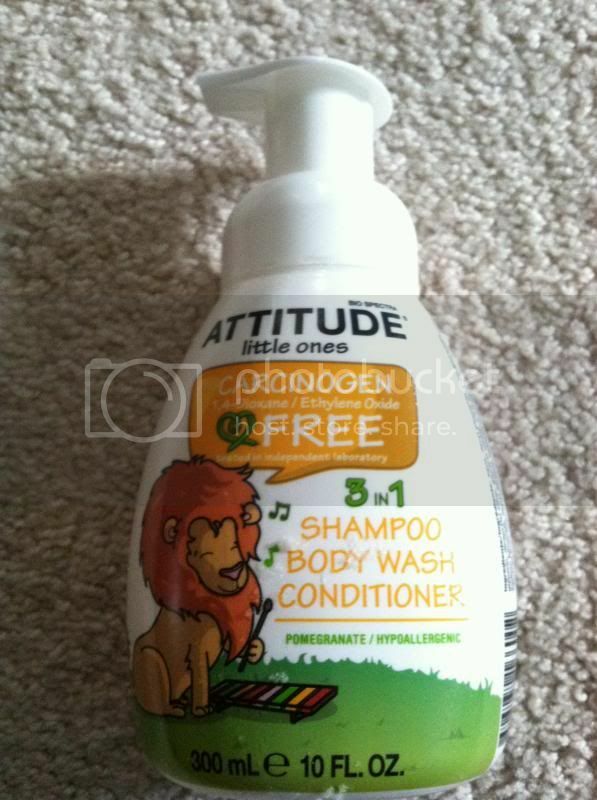 I received the ATTITUDE little ones 3 in 1 SHAMPOO BODY WASH CONDITIONER a pomegranate/hypoallergenic to try. Both were fragrance free something I need for my son and for cleaning his toys whenever it is dirty. It's always a great way to learn things and try them for my child's care. I like the product and would definitely going to recommend it to my family and friends. To learn for more you can always visit them at http://www.cleanattitude.com and connect with them on Facebook, and Twitter for more updates and exclusive offers.